United Imaging - Buy Office Supplies From United Imaging! 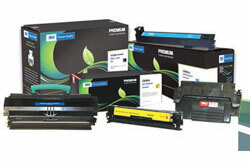 Over 157,000 office supplies, toners, inks, hardware, parts and service. 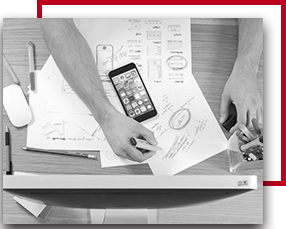 More than just an office supplier, we have a fully-integrated furniture division: United Interiors. We are also an authorized Toshiba copier dealer, and we have a complete, ground-up IT division. 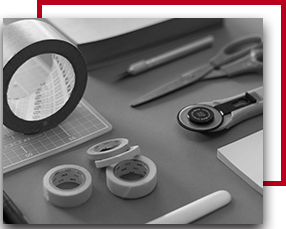 When you're looking for the best office supplies at the right price, United Imaging is there to help. With our free itemized breakdown of the discount office items your office needs, we can save you money every time you buy office equipment and supplies. 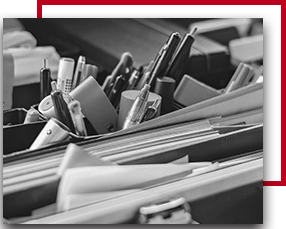 Get A Free Itemized Office Supply Savings Report! *New customer promotional pricing. 500 sheets per ream, 10 reams per box. 5,000 per case. *Paper price is subject to office supply review. Lowest pricing on copy paper in the county! Buy Now! $50 Minimum Order For Free Delivery. 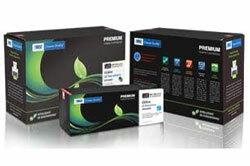 GUARANTEED OFFICE SUPPLY SAVINGS Over 157,000 office supplies, toner, inks, hardware, parts and service. Thanks for choosing United Imaging for your office equipment and supplies. We want to make purchasing wholesale business supplies as painless as possible. Why? Because you should be spending your time thinking about your business, not worrying about trying to find the best prices on office supplies. We can’t deny that there are lots of places from which you can buy office supplies, but we can make sure that you’re finding the best office supplies at the most competitive prices around. Why buy from the big local stores when they’re the ones who use us? Cut out that middleman and get direct office supply from United Imaging! If you’re not accustomed to getting the best prices from an office supply warehouse, take a look at this information regarding the advantages it can have for your business. Everyone wants to save money for their business, but unfortunately some businesses are “penny wise, pound foolish.” They might waste dozen of hours trying to find the best deal on something small, only to see money fly out the door when they overspend on something else. Let’s take a look at how this can be avoided. When you start up your business or open another branch, it can be tempting to go all out and purchase the most expensive office equipment and supplies. For instance, flush with a bank loan or investor money, some businesses will buy the most expensive desks and chairs for their employees from a local store. Now don’t get us wrong, there’s nothing wrong with treating your employees right. But what we’re saying here is that all of those are big one-time expenditures, when purchased from a local business supply store, can add up to a lot of money lost due to their substantial markup. When buying large items such as furniture for our office equipment you can get the same quality, and, often, the very same product from an office supply store online such as United Imaging. You’ll be saving money that could be better used to beautify public spaces in the building, those that are client- or customer-facing. Save some money on your furniture and go all out on your company’s hero sign behind the front desk! Of course, saving money isn’t something that you can just do once. You need to save money not only on your large items but also on your small items. Let’s take a look at how. If an office is going to save money, it’s more likely to do so with their office equipment during times such as the instance we mentioned above. When it can save $20 on a desk, it just seems to make more sense than worrying about saving $2 on a large pack of universal file folders. Those savings can be deceiving, though. With the desk, you’ve only saved that money once. With the universal folders, however, you can save that money again and again. 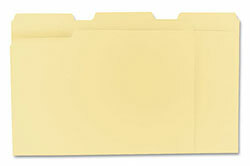 Soon the savings on the file folders have saved you more than the desk ever did. And the amazing thing is that that saving money on standard file folders and other discount office items will keep saving you money for years down the line. Multiply that by dozens or hundreds of basic office supplies and you can see how the savings can add up quickly. Of course, when you saved money on the desk, someone in the company just had to research the prices once. Their small amount of time added up to big immediate savings, but for basic office supplies their time often ends up giving diminishing returns. What can be done to save money when you buy direct office supplies? The way to save money when it comes to purchasing office equipment and supplies is to have someone on your side. When you work with someone who has the office supplies you need and can stay abreast of the latest prices, you’re going to get the best of both worlds. That’s why we’re here. We can offer you a free itemized savings report to tell you exactly how much you can save on your basic office supplies and those one-time purchases. And once you’re in contact with us, we can let you know when there are even better prices than before, or how you can save money switching to a newer, more cost-effective product. But isn’t it easier to just stop by the local office supplies supplier? Or just grab something from a bunch of different office supply stores online, picking and choosing the best deals? Your time is more important than that! Let’s take a look at why you’ll want someone working for you on the inside. Why Work Directly With A Business Supply Store? We were just writing about the two most common ways that a business can save money on their office equipment and supplies. Basically, what it comes down to is that you find ways to save money on the big one-time purchases but also do whatever you can to save money again and again on the smaller purchases you reorder often. If you have a full-time buyer of office supplies, they can spend their entire day heading to fifteen different websites so that they can save $0.73 on copy and printer paper. They might even search the local Christmas ads so that they can save a couple dollars when it’s time to buy copy paper, driving to a local business supply store during their lunch hour to save your company money. If you have someone like that, congrats! Keep them, because there aren’t many workers who are so dedicated to doing so much to save a company money. But how many businesses have a full-time buyer? Most of the time, the person who buys the office supply doubles as either an administrative assistant, the receptionist, or both. They are much too busy taking care of dozens of other tasks to worry about saving a few dollars on basic office supplies. Unfortunately, not saving money could mean thousands of dollars (or more) down the drain. To put it bluntly, there’s a very good chance that you’re paying too much for your basic office supplies. And while it’s possible to save money on smaller office supplies, it’s often not very cost-effective. United Imaging can change that. Let’s take a look at what you do want to do — and don’t want to do — when it comes to shopping for discount office items. Why Not Check Out The Local Business Supply Store? While the local store might be convenient, it’s not cheap. When it comes to buying the bulk of your basic office supplies and equipment, you will save incredible amounts of money by staying away from the local business supply store. While they might have sales, it’s seldom on the items you’re looking for. The rest of the time they have prices that are retail prices, and when you look at the size of the store, the number of employees they have, and all the other overhead, it’s not surprising that they have to charge so much. Of course, most of the time they’re banking on the “businesses don’t keep track of their office expenses” model and keep their prices high. If you have a big report tomorrow and you’ve run out of copy and printer paper, we’re not going to say that you shouldn’t head to the local store and pick up a few packs. Sure, it can be convenient when you have an emergency, but so often you’re dealing with a part-time employee who can’t help you find the best sticky note deal…and they might not be able to find the sticky notes, period! Why Not Shop At Office Supply Stores Online? Most Americans shop online. In fact, 80-percent of people use the internet for shopping, and that number is certainly higher for businesses. Shopping online is just a part of doing business in today’s world. The big problem with office supply stores online is that one site will have the best price on discount copy paper while another has great prices on standard file folders. Then you have to go to yet another site in order to buy sticky notes, only to find out that the price on the invisible tape dispensers you need is outrageous. Of course, not every store is going to give you free shipping, so all that time spent looking for discount office items lead to an abandoned cart because they wanted $5.95 shipping on a $10 order. What you need to do is find the office supply warehouse that carries everything you need and always keeps the lowest prices. Considering United Imaging has the best price in the nation on bulk copy paper and often supply those big box office supply stores with what they need, we have a pretty good feeling that we can beat any other prices you’re going to find. The best option is to talk to someone who works for United Imaging, because you’ll get the best of all worlds. You can use our online store but still get the expertise of someone who can save you money with a free itemized savings report, someone who knows as much or more than your average office supply store’s manager. You’ve got nothing to lose and everything to gain when you simply click that link. 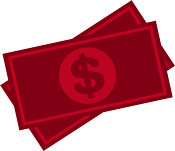 We love to talk about how we can save you money, because once we do we know you’ll be back again and again. Now that we’ve discussed the reasons you can’t always find the best deal online or at a business supply store, you’re probably pretty close to taking us up on our offer to get a free itemized savings report. After all, it’s free, and it could end up saving you thousands of dollar or more on basic office supplies and furniture. Maybe you think you’re already getting a pretty good deal on office supplies, but we bet we can beat it. (Of course, there’s only one way to find out — click that link!) Why how are we so sure that a review of your supplies will be beneficial? Well, we work with a lot of businesses and have noticed a lot of trends over the years. How much paper do you go through in a year? Is it coming from multiple online sites and able to be ordered by many people throughout the office? When there’s an emergency, does someone just take slush money or the business credit card to the local business supply store, meaning that you really have no idea how much money you’re spending on office supplies when you get right down to it? The small things often go unnoticed at your average place of business, and that is often where a lot of money is lost. They really should, though, because knowledge of expenses can directly lead to a reduction in expenses. Most offices are focused on the biggest expenses they have, and for good reason. After all, manpower is expensive, as is the rent on the building. Even the items they put into the office, such as furniture, really adds up when new office equipment is purchased. Most offices see the small things as not being worthy of tracking, when in fact those small things can really add up over the course of a year. While they should certainly focus on their largest expenses first, that doesn’t mean that they shouldn’t do everything they can to save the most money on office supplies possible. Depending on the size of the company, there are hundreds of dollars to tens of thousands of dollars at stake. That’s something to care about. “Spending too much on office supplies is just part of doing business.” That’s what many office managers think when it comes to basic office supplies that are costing them too much. But it doesn’t have to be. This is where United Imaging comes in. We’ll do an audit of your office supplies and give you the best options, providing a side-by-side comparison of what you’re spending vs. the amount of money you could be saving with us. We can also guide you toward products that could save you a lot of money versus what you’re paying for the name brand. All you have to do is contact us to get a free estimate. 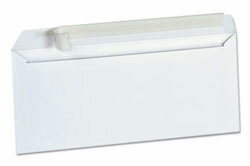 Is It Okay To Buy Generic Discount Office Supplies? 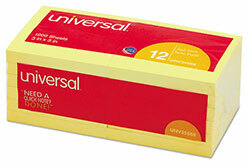 Here at United Imaging, we carry a huge array of office supplies. We have over 157,000 office supplies at our disposal, from stuff as small as thumbtacks and pencil leads to big items like office furniture and truckloads of bulk copy paper. But there aren’t 157,000 different kinds of office supplies, so you can probably guess why that number is so large: we carry the same item from many different manufacturers. Is It The Same Quality as a Name Brand? You probably know that a lot of money — billions of dollars, in fact — is spent trying to convince people across the country that one product is better than another. “Choosy moms choose Jif” after all, and M&Ms “melt in your mouth, not in your hand.” These products aren’t just trying to convince you that they’re better than the other name brand, but that they’re also better than any generic equivalents that might be out there. Sometimes the quality of a product depends on how long it’s been since any patents have expired. 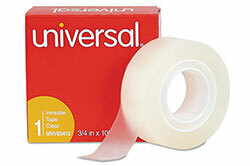 Let’s take universal invisible tape, for example. The patents from 3M expired long ago, so other companies have had decades to reverse engineer it and even sometimes make it better than the name brand product. But if a product is relatively new, the generic equivalent might not have all of the kinks worked out of it yet. The complexity of the item also has a lot to do with it. Should You Go With Generics Discount Office Items? What should you do? Listen to your United Imaging representative. They have their ear to the pavement when it comes to which supplies are worse than, equal to, or even better than their name brand equivalents. 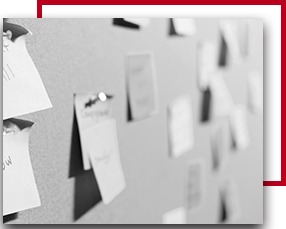 If you’re using Post-It notes and want to buy sticky notes that save you money and work just as well, your United Imaging salesperson will be able to help.